D.E. 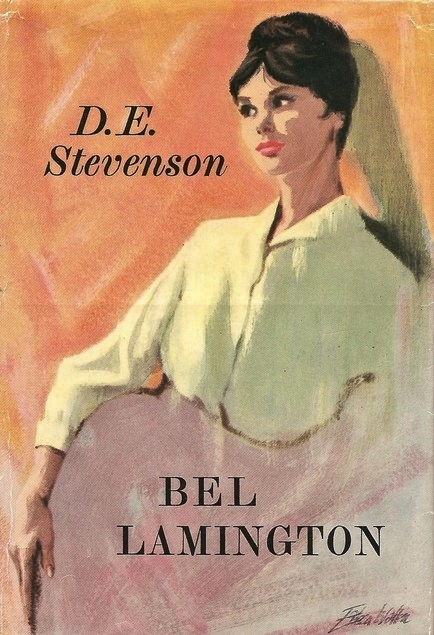 Stevenson’s 1961 novel Bel Lamington, featuring a young woman thrust out unprepared into a harsh world, Miss Beatrice Elizabeth Lamington – the “Bel” coming from her initials – left me just slightly underwhelmed. 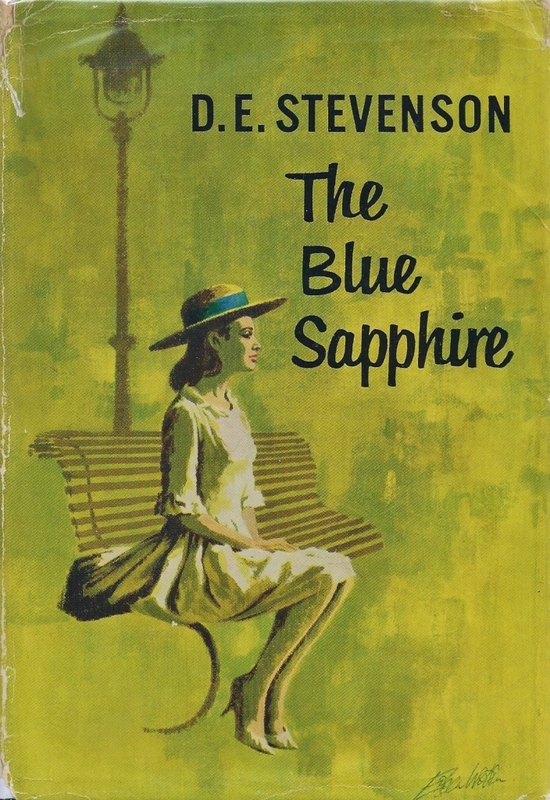 I had first read the sequel to Bel’s titular saga, 1962’s Fletchers’ End, and references to Bel’s previous stint as a downtrodden secretary rather intrigued me. My eagerness to discover her prior story sent me off to the internet to purchase the book, and though I can’t say I’m disappointed by my latest D.E.S. acquisition, I’m not as thrilled as I’d hoped to be. Bel Lamington links up with the earlier Vittoria Cottage/Music in the Hills/Shoulder the Sky (a.k.a. 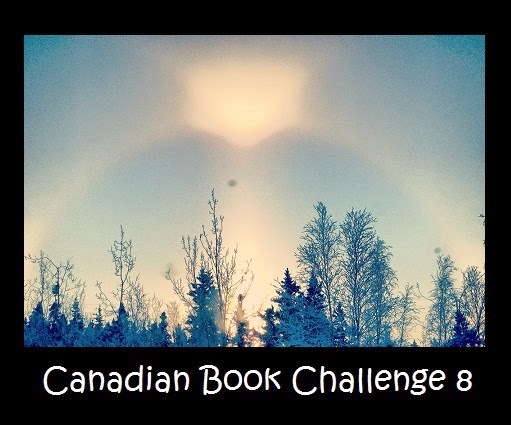 Winter and Rough Weather) trilogy, and the last third or so of the book concerns a number of characters whom the author assumes we have already met. Doubtless this was so for most readers at the time of Bel Lamington‘s publication; D.E.S. had her staunch following, and a nod to the readers-already-in-the-loop was doubtless the author’s intention here. But for those of us coming newly to the D.E.S. world some half-century after her heyday it can be a little disconcerting, though I must say it is fairly easy to pick up and follow the story threads. 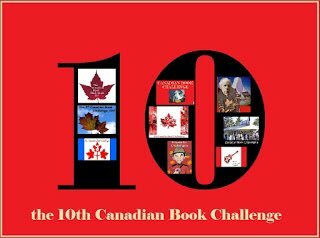 It never seems like the author intends to leave things out, just that she assumes that we know the histories of the cameo role stars she features beside the up-and-coming ingénues. And Bel is very much a charming ingénue, in every sense of the word. Luckily her stellar qualities are recognized by just enough people to soften the blows that fall upon her tentative entry into a working girl’s world. 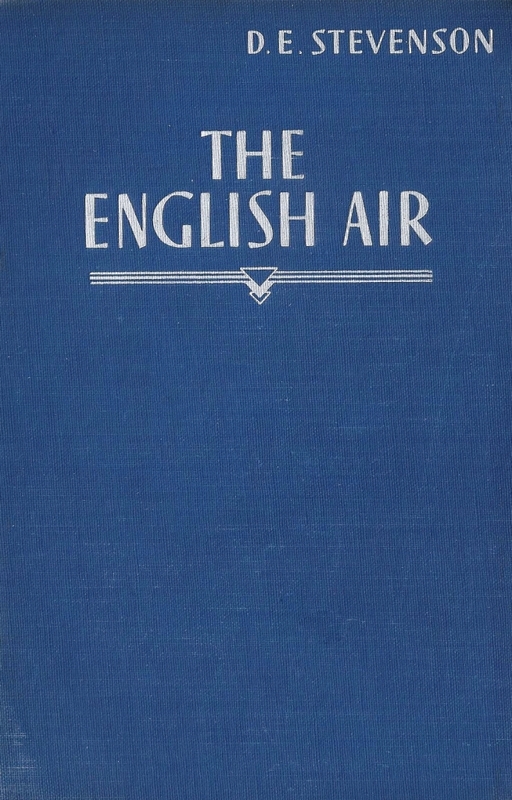 This edition: Collins, 1961. Hardcover. 255 pages. Bel was orphaned at the tender age of three when both parents perished together in an automobile accident – a “terrible motor smash” – but luckily she was taken in by a loving aunt and raised and cared for with tender affection. Her aunt has now died, and with it the small income they both lived on; there is nothing for it but for Bel to go out into the world and find employment. She trains as a secretary and finds a job as a typist in a London shipping firm, and is soon promoted to private secretary to the firm’s chief partner, Ellis Brownlee. For Bel is one of those quietly competent types who excels at everything she attempts, and the author gets some digs in at the lackadaisical sorts whose office ambitions are more to do with flirtation and gossip than in dedication to their employers’ interests. Bel is definitely not cut from that pattern, and this inevitably leads to her being ostracized by the other female staff members, in particular the bullying Miss Goudge, who finds meek Miss Lamington a perfect target for her sarcastic jabs. Bel’s private life is emotionally fraught as well. She is finding London exceedingly lonely, and has not made friends with anyone at all in the eighteen months she has been there. Her one comfort is the tiny rooftop garden she has created outside her top floor window, and lo and behold, this garden brings her into contact with a handsome young man. Mark is an artist, and his discovery of Bel’s garden when he is scrambling about on the roofs outside his own top floor studio-flat leads to his painting of Bel’s portrait, and his impetuously offhand courtship of this hidden flower, this “charming little mouse” of a girl. Bel is initially bowled over, but soon finds that Mark’s enthusiasms wane as fast as they sprout up, and she sensibly keeps herself out of trouble when Mark’s casual advances become too forceful. But it is hard to keep smiling, and Bel is descending into the depths of despair when a chance encounter with an old school friend at the exhibition of Mark’s painting of Bel brings her a happy respite, as she and Louise discover that they are kindred spirits. Back at the office things are not going well at all. Bel’s mentor and protector Mr Brownlee has left on an extended overseas business trip, leaving Copping, Wills and Brownlee under the supervision of the over-emotional and verbally-abusive Mr Wills. 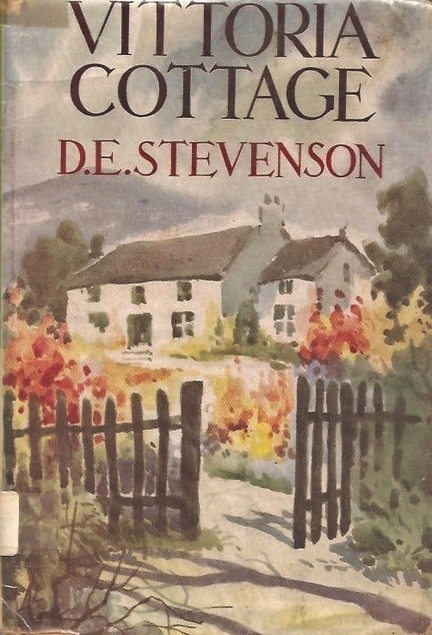 Hand in glove with the manipulative Miss Goudge, Mr Wills ensures that Bel’s office days are numbered, and when the inevitable happens, she flees to Louise for refuge, ending up in Scotland, where everything gets itself all sorted out. This edition: Fontana, 1971. Paperback. 256 pages. Spoiler alert: If you want to read Bel Lamington without knowing the results of her romance in book one, you should read no further. 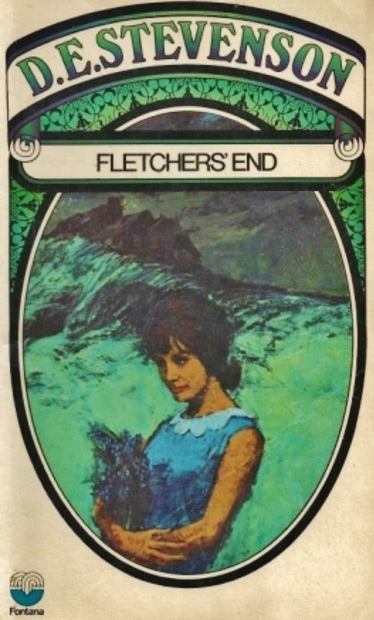 Here, I’ll pop in the cover illustration of Fletchers’ End to give you a chance to click away. Still here? Excellent. 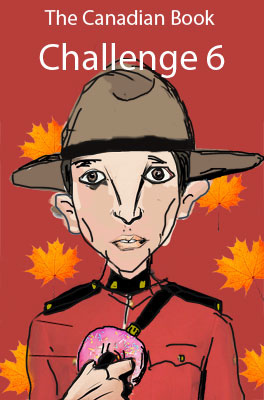 Here’s the next installment. Bel and Ellis Brownlee are wed, and are now living in Bel’s tiny London flat and both working at Ellis’s office. They are also looking for a proper place of their own, preferably in the country but within easy commuting distance of London so Ellis can be handy to his shipping firm. 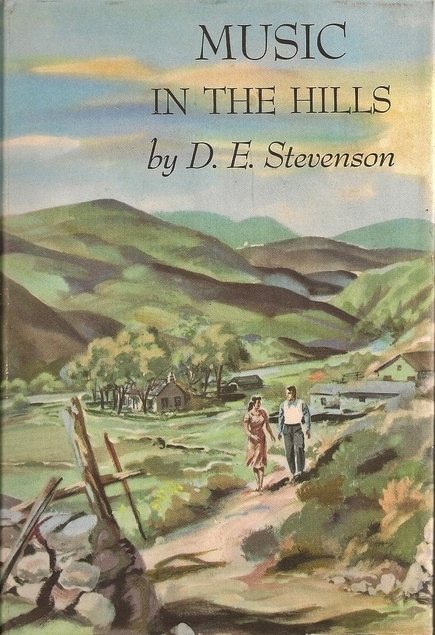 Nothing suitable can be found, until Bel’s friend Louise sees potential in a dilapidated old house in a jungle of weeds, one Fletchers’ End in the village of Shepherdsford. 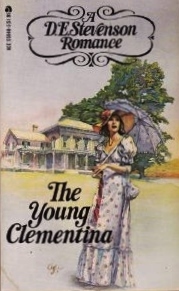 The absentee owner is desperate to sell, and Ellis and Bel purchase the house for a bargain price, though they are destined to make up for the initial savings in the ensuing renovation costs. This now becomes one of those “house books”, where the building is a character in its own right, and ultimately rewards its rescuers by becoming a warm and welcoming haven. Bel’s adventures in renovation and restoration keep her occupied for the better part of the narrative, though there are side plots in the romance of Bel’s dear friend Louise, carried forward from the first installment, and the sudden appearance of the house’s previous owner, a young and handsome naval officer. Mark-the-philandering-artist from Bel Lamington makes a brief appearance as well, as does the younger Copping from Ellis’s firm. But not much really happens in this one, unless, of course, one appreciates the overwhelming busy-ness and architectural challenges and intrinsic rewards involved in a house renovation. 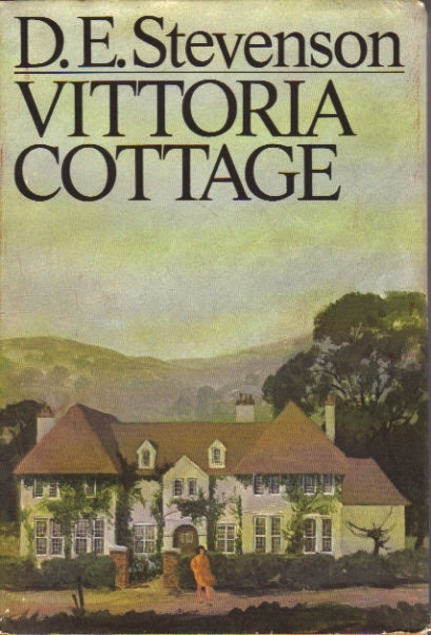 The romance gets sorted out most satisfactorily, and all seems set for a happy ending when Bel and Ellis are suddenly faced with the possibility of having to walk away from Fletchers’ End: a will has been discovered which puts into question the legality of the house’s sale. Oh dear, whatever will happen now?! Yes, it all comes out all right in the end. Nice parallel story of the elderly Mrs Warmer (what an apt name) who has been caretaking Fletchers’ End, and who stays on to provide a motherly presence in Bel’s kitchen, to the envy of all and sundry. In both of these novels much is made of Bel’s timidity, her gentleness, and her overwhelming humility. D.E. 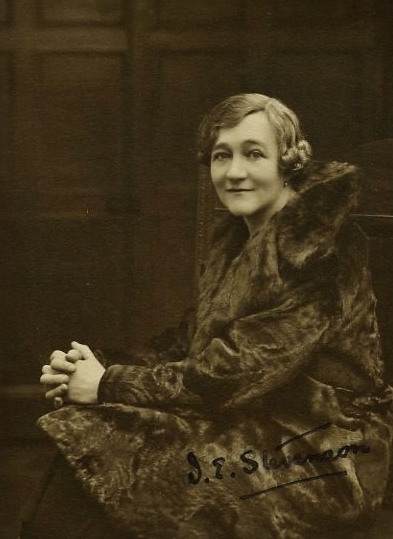 Stevenson puts forward the argument that humility – true humility of spirit – is a worthy trait and should be viewed with respect. She therefore endows her heroine with appropriate rewards for her goodness and meekness. Though Bel occasionally shows that her inner core is of the toughest steel, her continual mildness is sometimes just the tiniest bit irritating; I can understand why Miss Goudge of the first book found her such a fitting target for perpetual scorn. 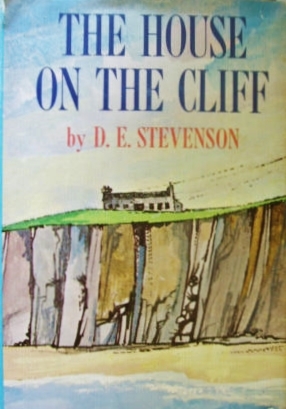 The House on the Cliff by D.E. 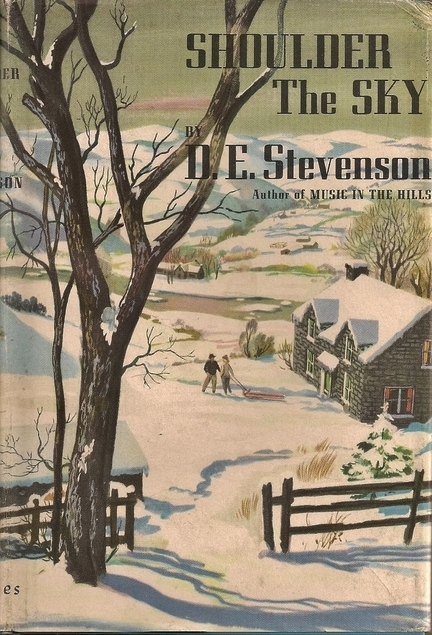 Stevenson ~ 1966. This edition: Fontana, circa 1960s. Paperback. 224 pages. What a blissfully easy read, second time around this year for The House on the Cliff. Looking at my handy-dandy reading list, I see that I first read it way back in March of this year, while in the throes of dance festival season (my teen daughter was a competitive dance troupe member until this autumn) which seems aeons ago now, as we’re as close as touching to mid-November. And though I still retained a reasonably accurate memory of the plot line, many of the details were completely erased from my brain. Not such a bad thing in a comfort read, I maintain, because much of the charm in those is their re-readability. I see I rated this one quite highly back in March, and I’ll keep it there, for though it is a slight thing, it is very pleasant, and that has merit enough for me. Young Elfrida Jane Ware – twenty-one-ish, I believe – is having a rough time of it. Elfrida has grown up as a child of the theatre, accompanying her second-rate actor father and third-rate (despite beauty and intelligence) actress-mother-turned-seamstress from posting to posting, knowing only the backstage world as she grew up, until one day her father disappears, leaving Elfrida to eventually scramble into an acting career herself, in order to help support herself and her frail mother. “Dead”, her mother claims; “Run off!” whispers the theatre community; but no matter which is was, Elfrida has been popped in at the deep end. She’s been working bit parts here and there, but she’s not exactly star stuff herself, though she’s managed to snag a key role in a failing comedy, along with theatre star Glen Siddons, whom she has a serious (though, she thinks, hidden) crush on. Now her ailing mother has quietly died, and through her grief Elfrida gamely soldiers on, until one day when her benevolent landlady shows her an advertisement in the newspaper asking for news of Marjory Thistlewood – her mother’s maiden name. 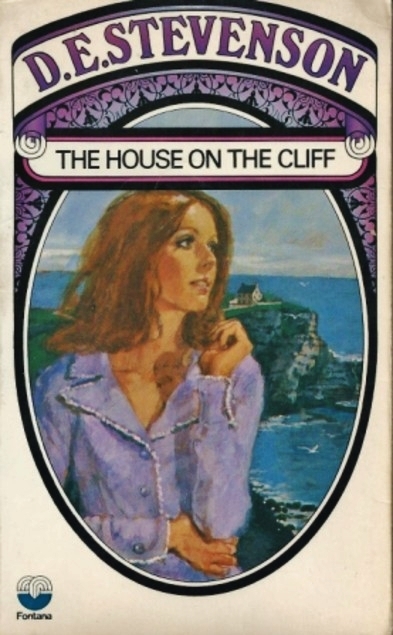 When Elfrida visits the lawyer’s office named in the advert, she is astounded to find that she has inherited her grandparents’ country house, Mountain Cross, a not-so-shabby two-storey stone-built gentleman’s home on a sea cliff in Devonshire. The search for her mother was meant as an attempt at reconciliation from her estranged parents – Marjory had eloped with Elfrida’s father against all parental advice – and since both of Marjory’s parents and Marjory herself are no longer living, Elfrida gets the estate. Unluckily there is only the tiniest of cash inheritances, but Elfrida decides to go off anyway and try living in her new possession, hoping to scrape by on her meagre inherited income. In this she is encouraged by one of the junior partners in the law firm, one Ronnie Leighton, who knows Mountain Cross well from his own childhood. Ronnie and Elfrida get along like old pals from the first time they meet; the reader may draw what inference they like from this convenient kindred spirithood! To Mountain Cross goes our heroine, abandoning her life on the stage with only the briefest moment of regret, and that for the glamorous Glen. She falls in love with her ancestral home, and everyone about falls in love with sweet Elfrida, relieved that she is not some flighty actress, but a new version of her gentle mother, whom everyone remembers fondly. Then who should show up on Elfrida’s doorstep but Glen Siddons himself, along with his eight-year-old son from his tragically ended youthful marriage. The child, Patrick, has been fostered out since his mother’s death, but Glen has collected him at last. Though Glen is playing the doting father and promises to take an interest in Patrick at long last, we sense that this is not going as well as it could be. The cast of characters includes a slightly fantastical married couple who decide to stay on at Mountain Cross for love alone (Elfrida cannot afford their wages), a handsome local bachelor who has checked out his new neighbour and found her most appealing, and various local characters (“characters” in every sense of the word) who bend over backwards to ease Elfrida into country life. What with the three young men (Ronnie, Glen and neighbour Lucius), not to mention the adorable Patrick – also smitten with our heroine – Elfrida’s retreat is becoming rather full of male presence; we know romance is inevitable, but which one will it be? 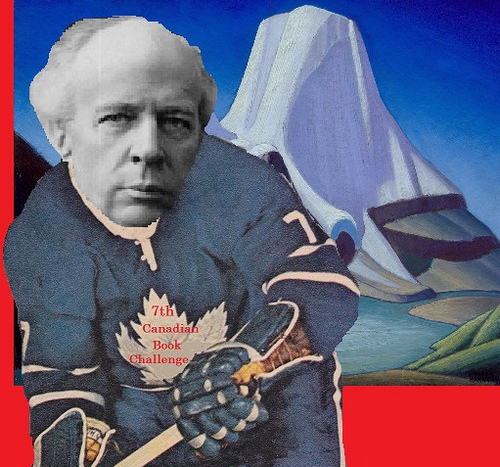 I’m not telling, though I did drop a rather obvious clue early on. Oh, and the stamp album reappears, with prefect timing. The villains wander away, leaving Elfrida in possession of her house on the cliff, and her happy new life. I wonder if some of the appeal in this not-very-complex story is Elfrida’s gallant disposition, her quiet but witty sense of humour, and her refusal to make a complete fool of herself even while enmeshed with forthcoming and handsome young men? One gets the feeling that this young lady knows a lot more than her swains (bar one) give her credit for. We wish Elfrida well from first to last, enjoying with quiet vicarious pleasure her acquisition of lovely house, thoroughly nice new friends, and well-deserved romantic partner.